Product #21863 | SKU NL8MM | 0.0 (no ratings yet) Thanks for your rating! 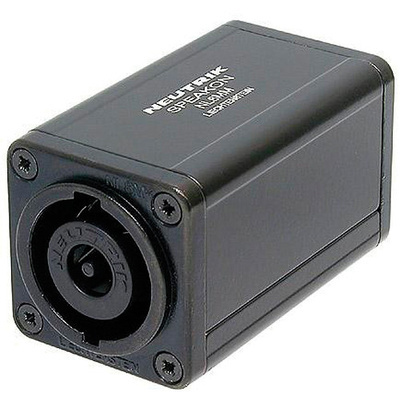 The NL8MM SpeakON Coupler by Neutrik is an 8 pole lockable coupler providing extension for two SpeakON cables. This SpeakON adapter uses Neutrik's quick lock locking system. The contacts are touch proof and designed to prevent damage from arcing if disconnected when in use.